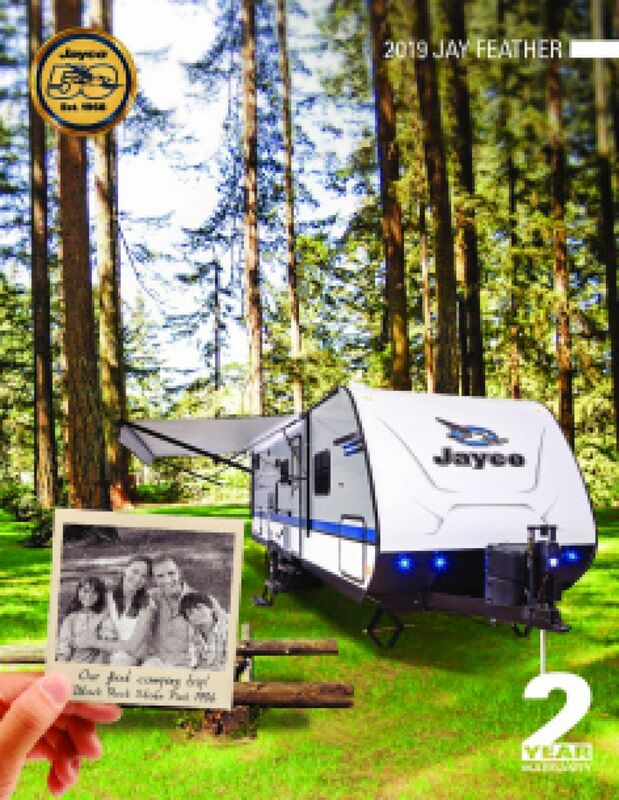 Make unforgettable family memories with the 2019 Jayco Jay Feather X23B Hybrid Trailer! At Tradewinds RV Center in Clio, Michigan, we've been helping our customers find the RV of their dreams for years, thanks to our sensational wholesale pricing on our huge inventory of all the top brands! It's never been more affordable to buy your dream RV! You'll save $1000s, and our financing experts will get you the lowest rates anywhere! So come visit us at 4325 W Vienna Rd Clio Michigan 48420. Let our friendly, knowledgeable staff help you find the perfect family RV! Whether you live in the Clio area or anywhere in the country, our 24/7 store to door delivery means that you can pick out your dream RV today, save $1000s, and have it delivered tomorrow! Give us a call at 810-686-0710. Your dream is about to come true! This Hybrid Trailer has a hitch weight of 495 lbs. and a GVWR of 5500 lbs, making it easy to tow and sturdy enough for the whole family - and more! Stay cool in the shade of the 13' 0" patio awning. Even during the most inhospitable weather outside, you'll keep the temperature pitch perfect inside with the 18000 BTU furnace and the 13500 BTU a/c! 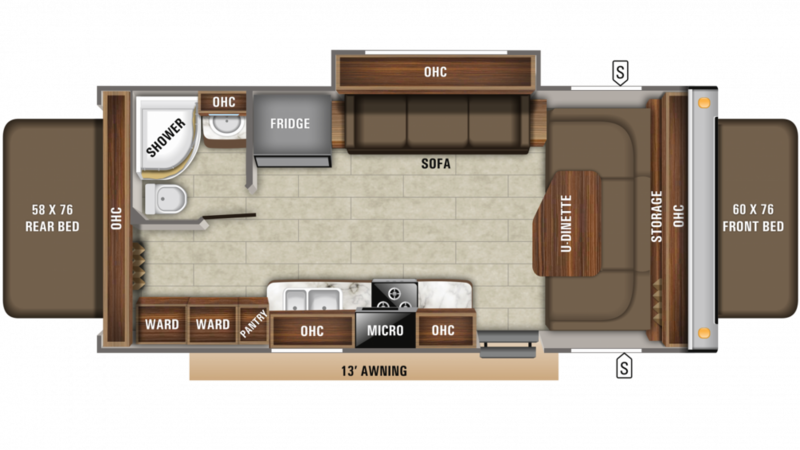 There are 1 slides that expand to maximize the living space in this 24' 5" long, 8' 0" wide RV! With a height of 10' 3", there's plenty of headroom, too! The modern kitchen includes a roomy 6.00 cu. ft. refrigerator and a 3 burner range cooktop. Enjoy clean drinking water throughout the trip from the 48 gallon fresh water tank.